The Best Ghost Hunting blogs from thousands of top Ghost Hunting blogs in our index using search and social metrics. Data will be refreshed once a week.Also check out Top Ghost Hunters Youtube Channels list for Top videos on Ghost Hunters. Ghost Hunting newsletter is a comprehensive summary of the day's most important blog posts and news articles from the best Ghost Hunting websites on the web, and delivered to your email inbox each morning. To subscribe, simply provide us with your email address. Southwest About Blog Ghost Hunting Theories is about exploring the unexplained, gathering information and sharing hypotheses. San Francisco, CA About Blog This is a community to discuss and share Ghost Hunting experiences, thoughts and theories. Facebook fans 1,178,326. Twitter followers 537,129. About Blog The official paranormal magazine published in the uk, the true home of ghost stories and documentary videos, Read the best ghost hunting articles here! Facebook fans 59,997. Twitter followers n/a. USA About Blog Ghost Hunts USA is one of the biggest ghost hunting companies in the USA. We hire out well known haunted locations across America and allow guests to join us Ghost Hunting. Learn about haunted attractions, investigations and strange occurrences here. Facebook fans 213,621. Twitter followers 328. Bradford-on-Avon, England About Blog Hayley Stevens is a paranormal researcher who doesn’t believe in the paranormal. Instead attempts to find rational causes for the weird things people claim to experience. She do this by using scientific scepticism and rational inquiry. Her blog, 'Hayley is a Ghost' documents her research and thoughts across these subjects. Facebook fans 479. Twitter followers 3,441. FL - Near WDW Haunted Mansion About Blog This is Fiona Broome’s website about ghosts and haunted places. It has been online since the 1990s. Fiona is fascinated by unexplained phenomena in everyday life, especially ghostly encounters. East Midlands, England About Blog Infrared photography and ghost hunting specialist. Find Ghost Hunting equipment Infrared, Full Spectrum and Night Vision cameras for Photography and Ghost Hunting, UFO Sighting and Paranormal Research. Facebook fans 17,828. Twitter followers 831. Royal Mile, Edinburgh About Blog History and Underground ghost tours Edinburgh. Walks & tours through graveyards, underground vaults and the best of Edinburgh's haunted history. Facebook fans 6,285. Twitter followers 942. Alabama, USA About Blog If you are looking for a little haunting, this is the place. Every entry will bring you a new glimpse into the unknown at this haunted blog. Come follow me to old cemeteries and legendary castles! Facebook fans n/a. Twitter followers 3,446. LaGrange, Georgia, USA About Blog A Guide to the Ghosts and Hauntings of the American South. Facebook fans 2,053. Twitter followers 1,089. New Delhi About Blog Solve mysteries wrapped around most haunted places in India with us. Check real life photographs and live videos of these historical and haunted places. About Blog The Ghost Attic is the room with all your paranormal paraphernalia. We provide a paranormal based website that offers relevant products, accommodation advise on haunted locations and material on anything else horror or supernatural. Look at real ghost images, haunted places and facts on everything paranormal. Also checkout horror movie reviews and ghost related articles. Keep up with the creepiness! Facebook fans 329. Twitter followers n/a. About Blog Ghostly Pursuits is a place where I document my experiences and share the best advice for people who want to get their feet wet in the ghost hunting world. Los Angeles, CA. About Blog A blog about ghosts and haunted places and hauntings in Los Angeles. GHOULA is dedicated to the preservation of greater L.A.'s rich haunted history, and the promotion and celebration of this local lore through ghostly gatherings and events. Facebook fans 4,850. Twitter followers 541. Nottingham, England About Blog We travel the uk is search of the truth about the paranormal join us and help us in our quest to gather evidence of hauntings. Join Us on one of our many Ghost Hunting Events and overnight ghost hunts in the most haunted locations with Uk. Facebook fans 2,850. Twitter followers 106,417. Wigan About Blog All about my interest in things paranormal, ghost investigations, and the existence (or not) of ghosts. A blog about ghost investigations, ghost hunting, ghost walks and the paranormal. Facebook fans 74. Twitter followers 1,368. Springfield, Ohio About Blog At GhostHuntingSource we pride ourselves on being all things Paranormal. We began as a Ghost Hunting/Paranormal Research group and are dedicated to investigating all things paranormal exclusively using scientific means. Find everything for your ghost hunting needs. EMF Meters, EVP Recorders, Spirit Boxes, Cameras, Camcorders, REM-PODs and more. Facebook fans 5,132. Twitter followers 6,155. About Blog I grew up in a haunted house. What's your excuse? She enjoys the spark and excitement of sharing ideas, plots, quotes, and anything else having to do with the process of writing, with like-minded people. Ghosts, phantoms, the paranormal, and the unexplained have been a life-long interest, and she continues to pursue that interest through both reading and writing. Blog by Ophelia Julien. Facebook fans 159. Twitter followers 542. Ventura, CA About Blog Ghost hunting pioneer Richard Senate and his investigations, likes, dislikes, and views of the paranormal world. Facebook fans n/a. Twitter followers 381. About Blog Ghost Hunt HQ is a fan group for the Ghost Hunt series. We are here to be a resource on GH information and a hub for the fandom’s creative expression. Upstate/Central New York, NY About Blog The Newyork Shadow Chasers is the premier Investigation Firm in Northern and Central New York providing comprehensive professional research and data on haunted locations & paranormal activity. Facebook fans 3,633. Twitter followers 3,934. About Blog Regarding the Legacy of Occult Detective and Ghost Hunter Literature. About Blog Explore the strange and unusual from around the world and discuss the adventures of a ghost hunter. Nottingham, England About Blog Theghostblog.co.uk has now teamed with a well known Ghost Hunt and Events company proudly displaying over 20 years experience within the Paranormal Field. Find Ghost hunting advice, Events, Ghost Hunting Equipment and Haunted Locations throughout the UK. Facebook fans n/a. Twitter followers 1,682. 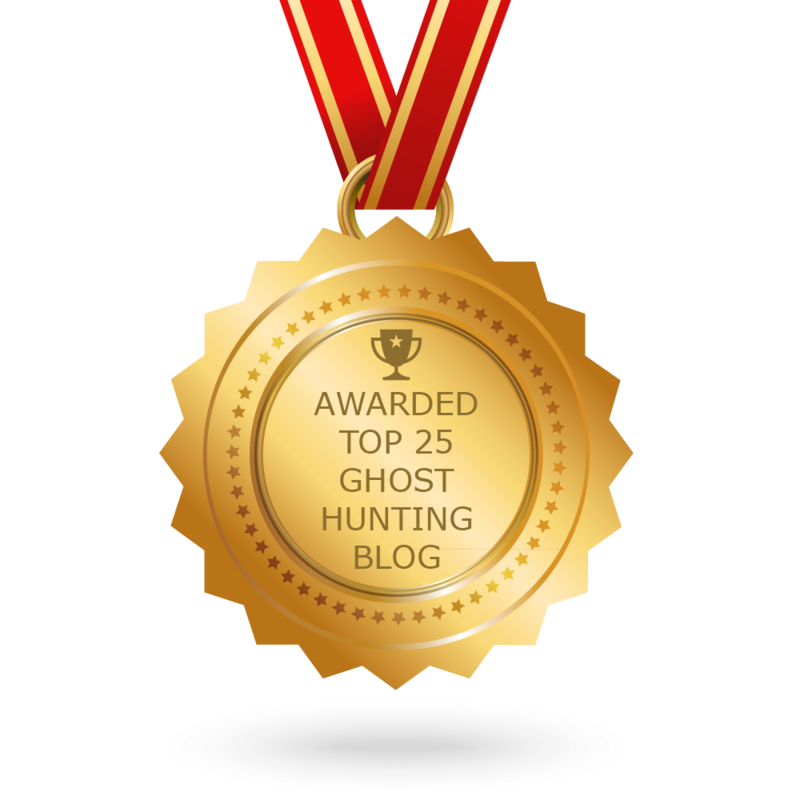 CONGRATULATIONS to every blogger that has made this Top Ghost Hunting Blogs list! This is the most comprehensive list of best Ghost Hunting blogs on the internet and I’m honoured to have you as part of this! I personally give you a high-five and want to thank you for your contribution to this world.